Domaine de l’Arnesque has been owned and cared for by the Biscarrat family for six generations. In 2005 Laurent Biscarrat passed the Domaine onto his children, Marie and Julien. Châteauneuf du Pape is comprised of several small vineyard areas named locally for their unique terroir. L’Arnesque is one of these special areas. The majority of the Biscarat’s CdP vines are situated here (11 acres), and so Marie and Julien changed the name from Domaine du Calongues to Domaine de l’Arnesque. (Click here to see a map. L’Arnesque is to the North West of the town of CdP). Their vines are around fifty years old and rest upon a westward facing slope near the Mont Redon plateau. The soil here is covered with galets (large, round stones). It contains a great deal of clay and limestone, and lies on stony sub-soil. 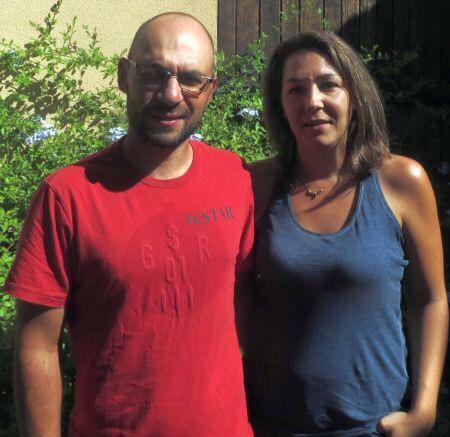 Marie’s husband, Sebastian Pathier is the winemaker and owns a share of the Domaine. He studied chemistry before discovering his true vocation in oenology. The cellar was built in 1964 in Jonquières by Marie’s great uncle and was renovated in 2008. While most of the grapes for their Châteauneuf du Pape are de-stemmed, whole clusters are also included to add structure, complexity and contribute to the wine’s robust character. The wine ages for one year in a mix of large and small French oak barrels. 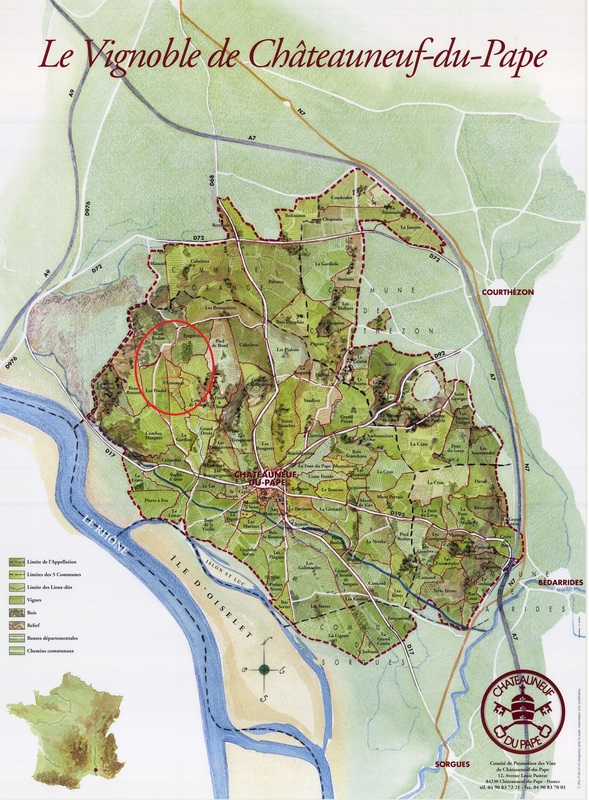 The Domaine also owns 124 acres of vineyard outside of Châteauneuf-du-Pape from which red, white, and rosé Côtes du Rhône villages and vin de pays are produced.